Acharya Dr. Lokesh Ji is a social reformer, versatile thinker, writer and poet. For the last 30 years, he has been continuously making efforts for building National character, development of human values and establishing non-violence, peace and mutual co-operation in the society. He has travelled on foot about 20,000 kilometres throughout the country for removing social evils and for propagating moral values. He says “My first and last ambition is that I should be able to make the world free from violence, terrorism and tension.” In order to give practical shape to these values he jas founded “Ahimsa Vishwa Bharti,” with a view to taking his activities to the worldwide stage through this organisation. 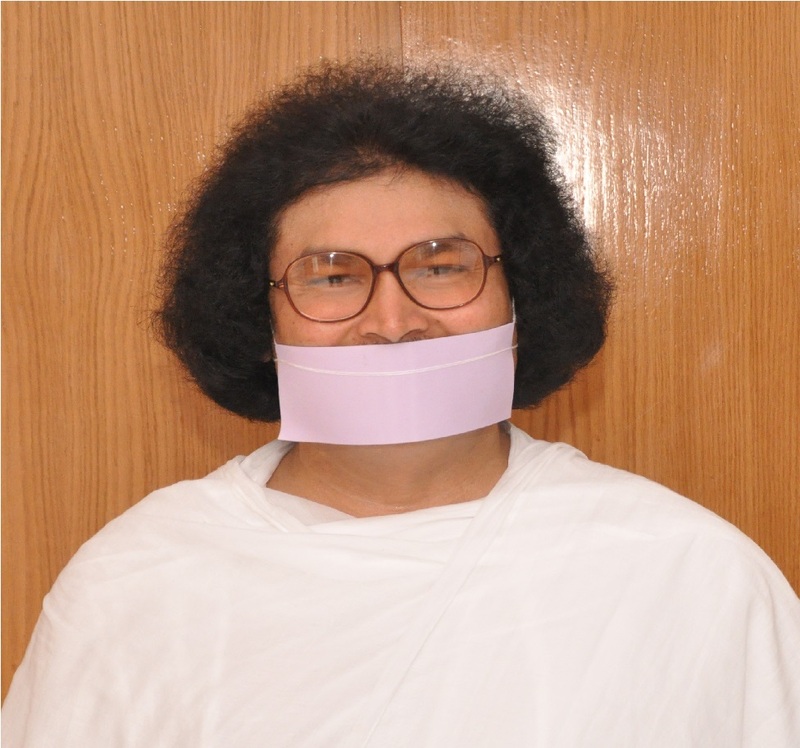 Acharya Dr. Lokesh Ji was born on April 17th 1961. After completing his formal education, he immersed himself deeply into Jaina, Buddhist, Vedic and other Indian and foreign schools of thought to get a more profound understanding of the philosophies propounded in these systems. He is quite well read in Prakrit, Sanskrit, Hindi, English, Gujrati, Kannada and many other languages. Dr. Lokesh has succeeded in earning limitless love, fame and respect not merely in India but also at the International level due to his steadfastness, knowledge, energy and perseverance. He is a master in the fields of Meditation, Yoga, and Peace Education. His contribution is the mode of popular ‘Peace Education’ which resorts to a blend of age-old meditation and Yoga techniques and current scientific research. It strives to bring an end to the animal instinct in human beings and awakens the latent higher spiritual values in people. In the year 2001, Bill Clinton, then President of USA, was so deeply impressed with the fundamental thoughts of Dr. Lokesh that he invited him to visit America. During his first visit to the USA during March 2007, the Acharya discussed Peace Education and training for non-violence in the Senate, where members of both republican and democrat parties participated. In September 2008, he addressed the Milpitas Assembly of California. Mayor Hoze Astawish honoured him with ‘Keys of Milpitas City’ for his distinguished contribution in the field of non-violence, peace and mutual co-operation. Dr. Lokesh is a prolific writer, having penned more than dozen books in prose and poetry. His writings are quite famous due to his new approach and the solutions he offers to current problems. Dr. Lokesh not only lists the major problems confronting the world today, but also presents an approach to find lasting solutions for them. ‘The Unborn Curse’ is a novel that was released in Hindi by Dr. A.P.J. Abdul Kalam, then President of India, and it has gained popularity to a large extent. The first copy of the English version was released by Sonia Gandhi, president of the Congress party. The introduction to this book was written by Shivraj Patil, then Home Minister of India, and L.K. Advani, the former Deputy Prime Minister of India had also penned down his comments. Acharya Dr. Lokesh’s works provide solutions to personal, social, national and International problems. Innumerable people have found solutions to their problems through his writings and have been successful in finding and practising the basic mantra of health, leading a happy and ecstatic way of life. The works of Acharya Dr. Lokesh has been translated into many languages including Hindi, English, Gujarati, Tamil, Bengali, Kannada and German. Dr. Lokesh is also a noted social reformer, who has undertaken several experiments for the removal of ignoble traditions in society. While establishing Ahimsa Vishwa Bharti, he had side-by-side started a strong movement against female foeticide prevalent in the country and against other social evils such as consumption of alcohol. In the All–Religion Foot travel from Tankara in Gujarat to Amritsar in Punjab passing through five States for creating an awakening among the public against abortion of female child, he was leading participants of the Jain faith as an expression of solidarity against female foeticide, and the use of intoxicants in various states. 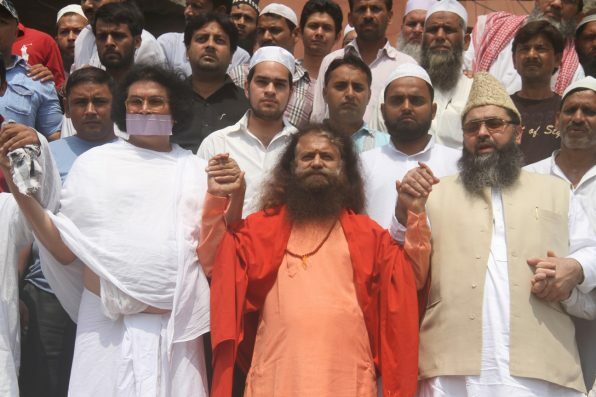 The Acharya started the national movement against this evil on February 20th, 2008, and it was inaugurated by Dr. Hamid Ansari, Vice President of India. Acharya Dr. Lokesh had made efforts from time to douse tensions among various castes, groups, religions and gatherings. 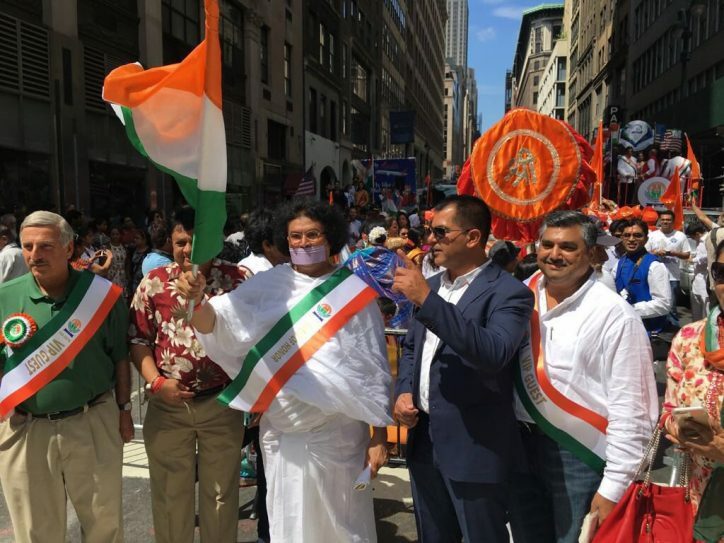 For example, in 2007 Dr. Lokesh had played a key role in removing the tensions that arose between Ram Rahim’s Dera Sacha Sauda and the Sikh community. His intervention was instrumental in keeping peace, and avoidance of violence. In 2010 Acharya Dr. Lokesh Muni was honoured with the ‘National Communal Harmony Award’ by the Government of India. In 2006, then President Smt. Pratibha Patil had conferred the famous ‘Ethical Honor’ of the Gulzarilal Nanda Foundation to Dr. Lokesh for distinguished service in establishing Ahimsa, Peace and mutual trust in the society.